Microsoft has finally announced that it will begin pushing its latest Lumia Cyan update out to all Aussie and New Zealander Windows Phone 8 users beginning this weekend. 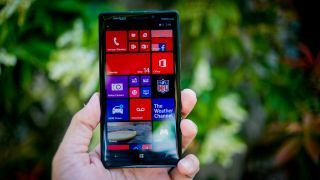 Microsoft has said the update is expected to become available for other Lumia handsets in the "coming weeks". The Lumia Cyan update is Nokia-specific with enhancements to the camera and camera roll, the option to record in surround sound (on the Lumia 1520 and Lumia Icon), the ability to install apps on a microSD card and more. It also features a pull-down notification bar with quick settings, word flow keyboard and an optional extra column of live tiles on your homescreen. While there's new business support, unfortunately Cortana doesn't make her appearance in our region. More details of the Cyan update entails can be found on the Nokia Conversations blog.